In my project I have a column called Request Status. This column is not shown in any forms, meaning users should not edit, because it is controlled through the app. Nevertheless it is editable in the Quick Edit. Yesterday I wrote about jsgrid in my blog. Now comes more. Today I’ll share a little practical solution how one can disable editing a field in Quick Edit. 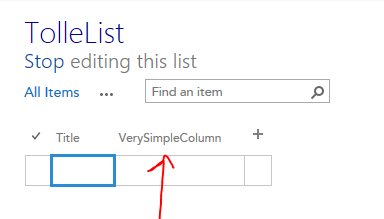 The example I want to show is a jsgrid code for a “VerySimpleColumn”. The source code can be found on gist.github.com: https://gist.github.com/mirontoli/838d60df76107fac56a0 To focus on jsgrid, I assume you have knowledge and some experience of working with jslink, which is related to jsgrid. So to me it seems quite okay to use it in real applications, but we have to live with the risk that the jsgrid api will be changed without any notice to us developers. The first step is to set up everything so we can start discovering jsgrid. It is just a walkthrough, not a detailed explanation. If you are eager to look at jsgrid, jump directly to that section. 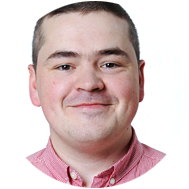 In this example we’ll apply a jslink to a custom site column. The very same jslink will be used in jsgrid, too. Three lines of plain text. Nothing extravagant. After that we can verify that the column exists. Fine. The code should appear simple for us who have written at least some jslink code. Now we are ready to handle the Quick Edit. What we’ll do first is to disable editing our column. Why? Let’s say we have some complicated logic for rendering and editing of our field, we don’t the quick edit override it. So before we start implementing the QuickEdit part of the field, we want to disable it. Here, perhaps, ends the implementation of Quick Edit for some business cases. This edit control is created and returned in a function that is called: createVerySimpleColumnGridEditControl. In our first version of the Edit Control we only log the event names to the web browser console. It works. bindToCell. Here we get the cellContext that we save as a “private” variable on that Edit Control object. The cell context is needed to get and set the field value. onBeginEdit. Here we show the Edit Control and make it editable. onEndEdit. Here we save the field value and hide the edit control. //An input is put as an overlay. We have to save the value using the cellContext. 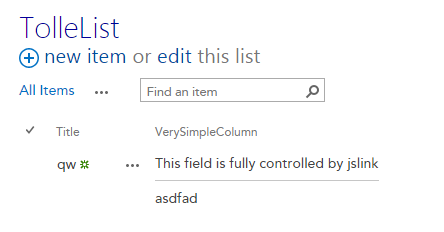 Custom Field Type for SharePoint 2013 – Custom “Quick Edit” mode rendering, Visa field example. If you came to this post because we met at the Geek Girl Meetup, I’m so, so glad to see you. My goal was to inspire at least one person to actually try this out and get started with creating webapps by using Yeoman. It would make me feel really warm inside that I actually inspired someone to get started and try it out. If you just stumbled in here by yourself, this is a post where I list the few and wonderously simple steps to generate a webapp to use for web development using Yeoman. Go to nodejs.org to download Node. Install it on your computer. Open your terminal (if you’re on a Mac), or your Power Shell if you’re on a Windows. Don’t know how to do this? Don’t worry, here is a great guide for Mac, and here is a great guide for Windows. You don’t need to know more than how to open it, and think of how cool you’ll look now! Press enter. That’s it. You get a response that says stuff about how npm works. Moving on to the next step! This installs Yeoman on your computer (the -g part makes sure it’s installed everwhere). If you want to know more about how Yeoman works, this is a good place to start. Interested in what you can do with Bower, visit this guide. 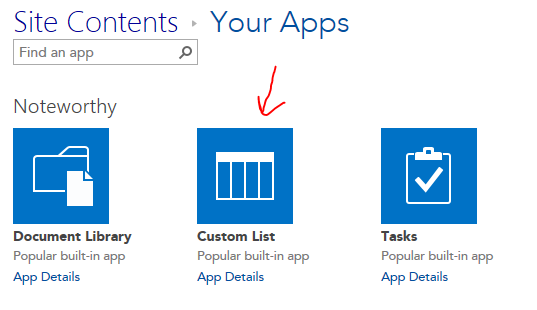 If you want more about what Grunt can do for you, go this guide, which explains it nicely. Webapp is the most general generator from Yeoman, but there are a bunch of others. And after you pressed enter all the files and folders and content will be created, it’s almost like magic. This starts up the task manager Grunt, which opens your browser, with the web site on it. So that’s all you need to do, now you can start creating. That’s not always easy, but it’s loads more fun than writing boring HTML and creating folders and so on, which all these steps have done for you. It would make me happy if you mailed me at stinaqv@gmail.com with questions, tales or thoughts about this. I hope that you try it out and see where it takes you.